Craft First-Class Flyers with 5 Quick Tricks » Rock Night Party Poster. Flyer. Vintage Styled Vector Illustration. 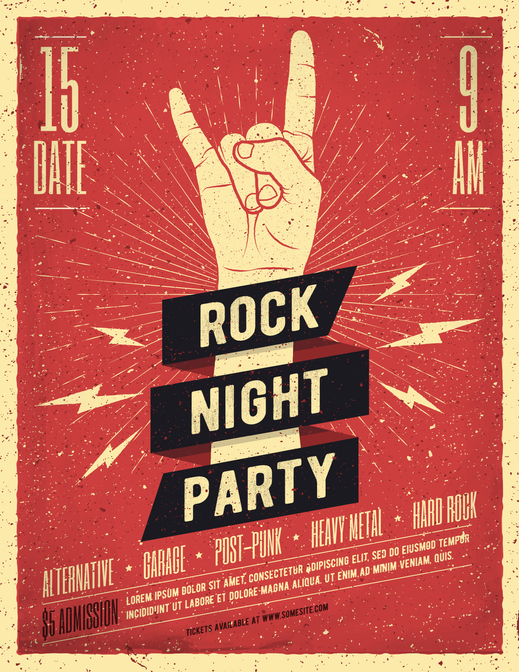 Rock Night Party Poster, Banner, Flyer template. Vintage Styled Vector Illustration.